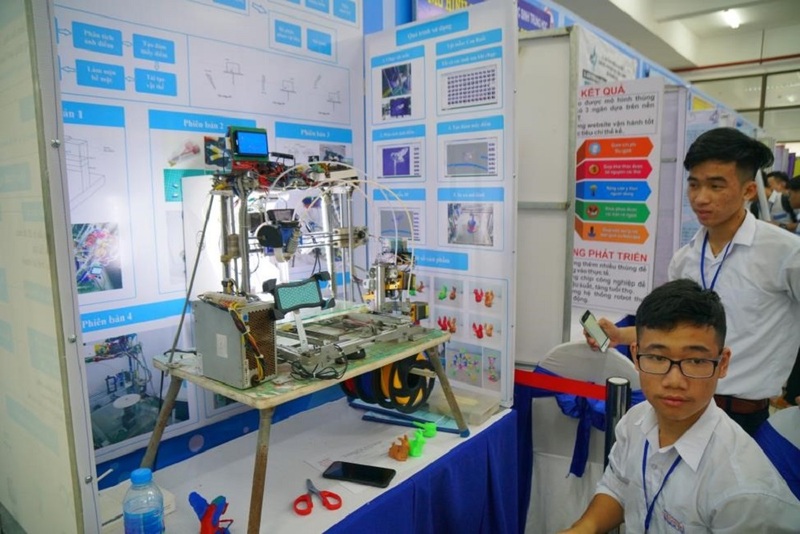 On March 18, 2019, the National Science and Technology Contest for high school students in the Southern region in the Academic year 2018-2019 held at Ton Duc Thang University (TDTU) had a display of products of the Participating Groups. 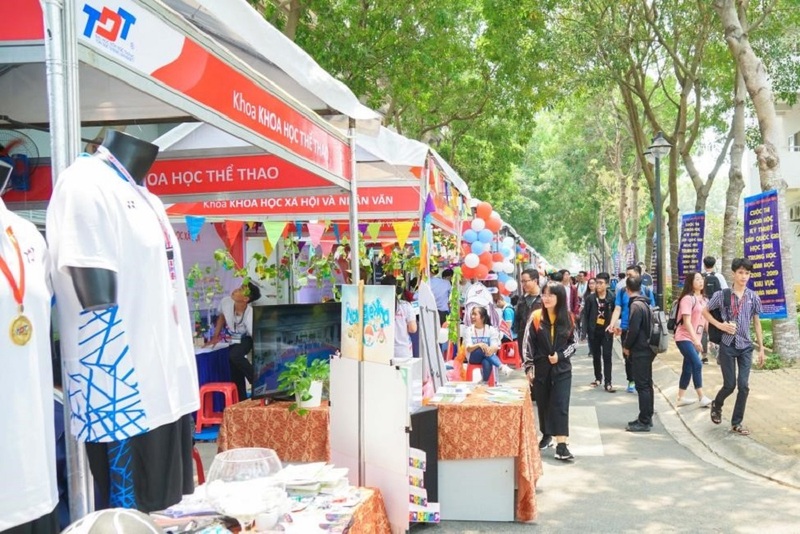 299 products were displayed at the TDTU multifunction arena to introduce to teachers, students and parents. 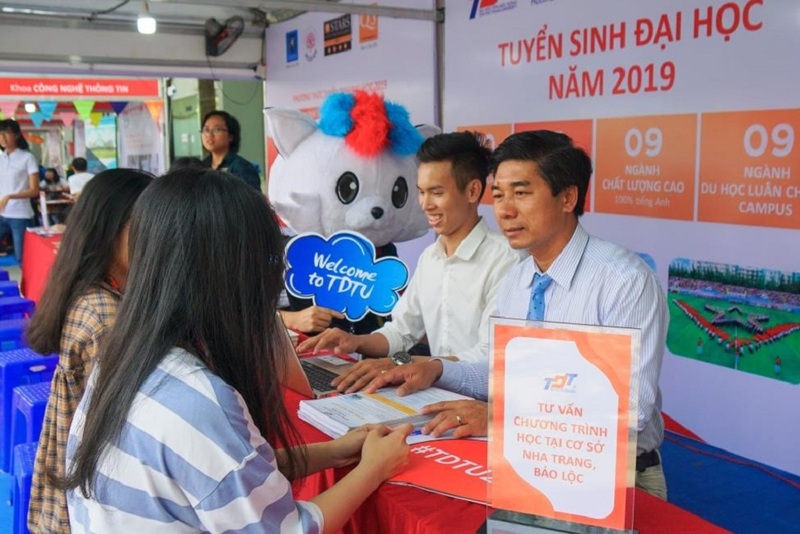 In parallel with this event, TDTU Open Days reached peak period with nearly 10,000 teachers, students and parents participating in the experience activities and receiving career and undergraduate admissions consulting. All 18 consulting booths (including 17 career counseling booths of 17 faculties of TDTU and 01 general admissions consulting booth) were all focused on on-site guidance activities. 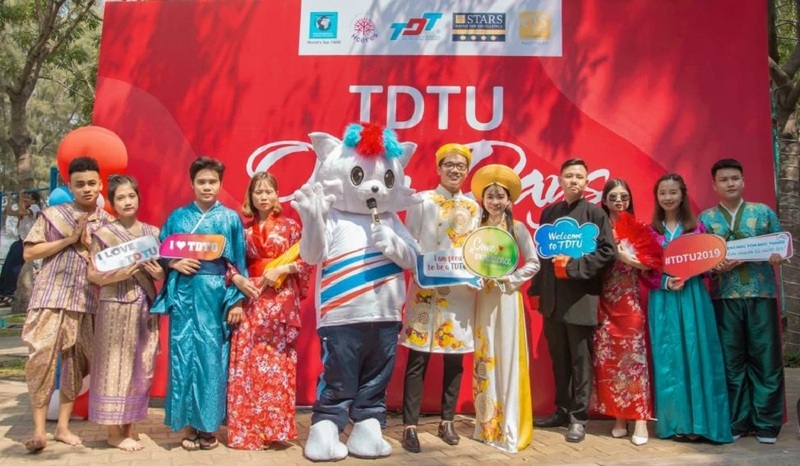 Students could see specific products of each faculty, directly introduced by the Leaders or the lecturers of the Faculty about career information, and participated in fun games organized by TDTU students. 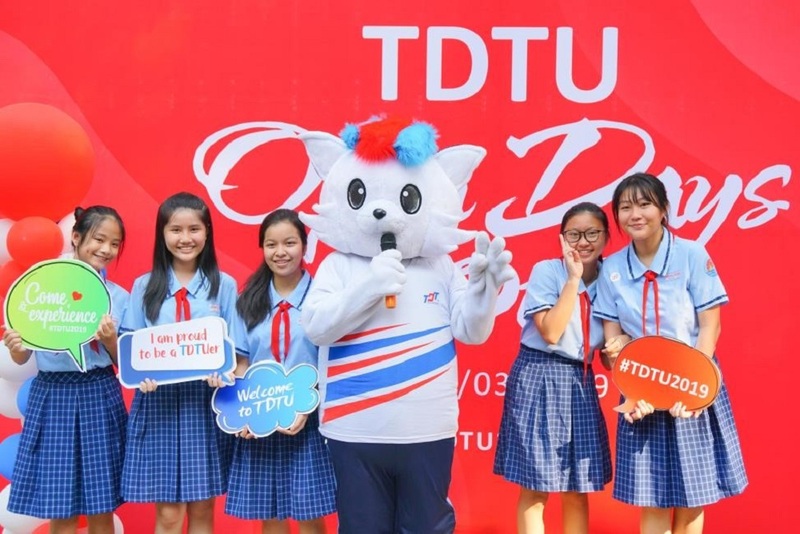 Teachers, students and parents were also guided to go for a sightseeing tour about the advanced and dynamic educational environment at TDTU to clearly perceive the environment, from which they can make the best decisions. In particular, the general admissions consulting booth was always the place to attract the attention of students and parents. Practical questions about registration steps and enrolment procedures for admission to TDTU were answered in a thorough and dedicated way. 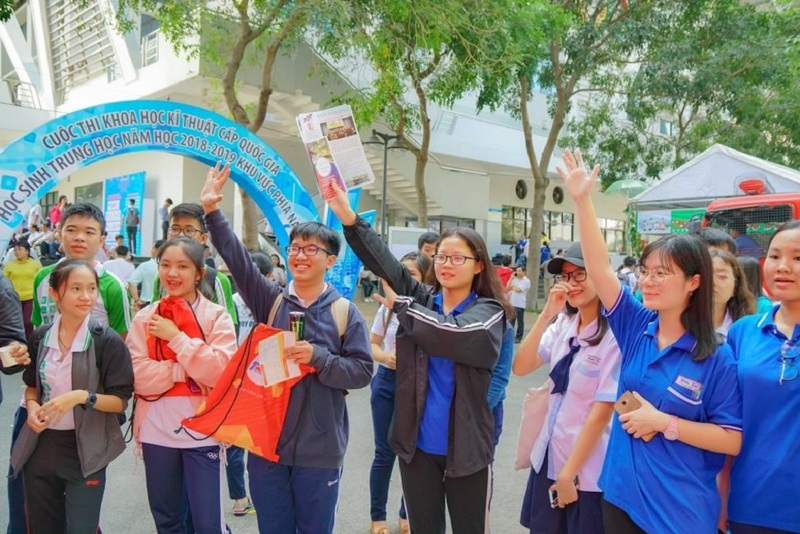 Students and parents were also fully provided with enrollment documents as well as being instructed about information channels to contact the University in the most convenient way.